‘Punish a Muslim Day’ has backfired! 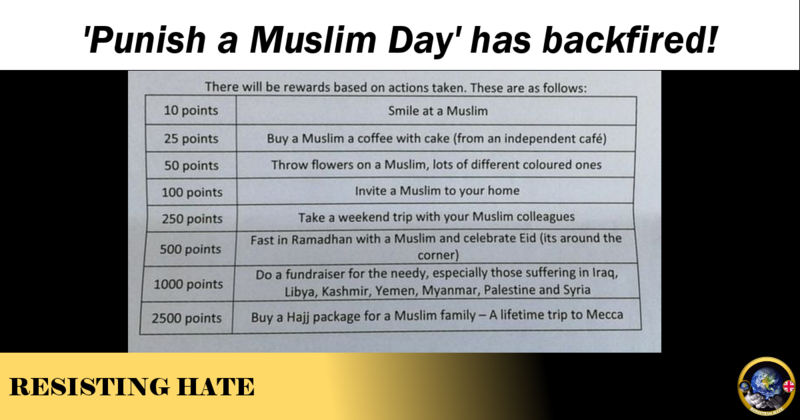 It is hard to imagine what goes through the mind of the kind of person who made up ‘Punish a Muslim Day’. I’m not sure I even want to know what goes on inside their head. But we can guess that whoever did it wanted to cause fear among Muslims and to try and mobilise the public at large toward harming our Muslim communities. Which is why it is so immensely satisfying that this ploy has spectacularly backfired. Check out the trending hashtag #PunishAMuslimDay on Twitter. This isn’t trending because people are supporting it but because people are incensed by the hatred it is spewing and are coming together in unity to stand against Islamophobia. This is the exact opposite of what the haters wanted. They seem to think they represent a majority of the UK who oppose Muslims. 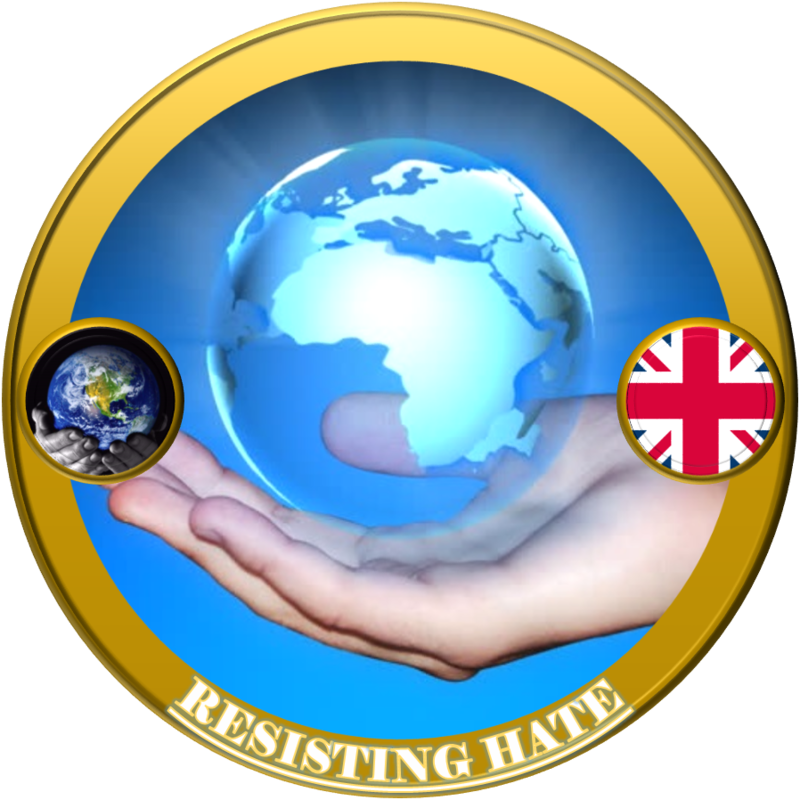 Today has proven that they are the small minded hating minority that Resisting Hate have always believed them to be. 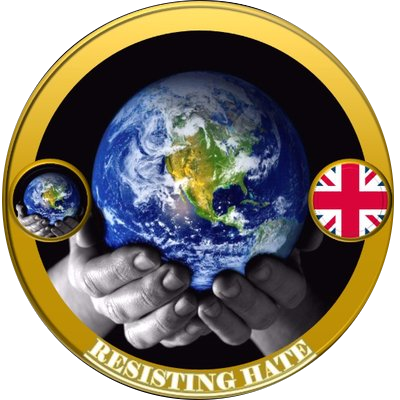 The majority of our country do not hate our Muslims and the outpouring of scorn on the hateful person/people who came up with this ridiculous day in the first place is clear proof that the people of the UK stand with our Muslims and not against them. I certainly do not support harming the Ummah. Nor the Bani Yehudi.